The cross-country skiing venue for the Sochi 2014 Winter Olympics will be a temporary structure that will be taken down after the Games, an official involved in the construction says. 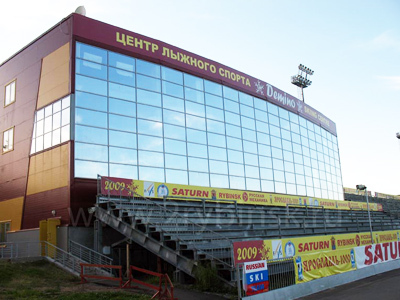 "Two stadiums will be built – one for biathlon, the other for cross-country skiing. But the ski stadium will be temporary, since it is completely useless to have two stadiums after the Olympics,"
the deputy director of Gazprom Sotsinvest, Vladimir Makarenko, told RIA news agency. "After the Games, cross country races can be safely held in the biathlon stadium. And in order to make a biathlon stadium, you need to build a shooting range, which is a very serious construction," he explained. 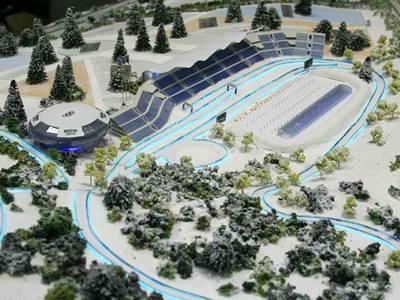 According to Makarenko, the biathlon complex will be completed by the end of 2011, with the first test event scheduled for January 2012. The arena’s capacity will reach 9,600 seats. "We initially wanted to build nearly 17,000 seats, but the IOC advised us to build for a smaller number of viewers. Biathlon Olympic stadiums typically do not include so many seats," Makarenko said. 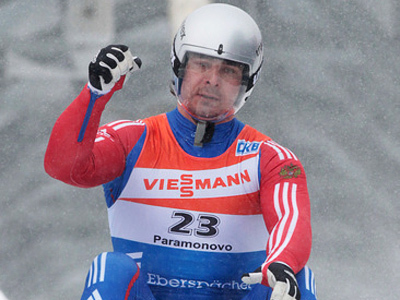 Twenty-two sets of medals will be at stake in both sports in Sochi.